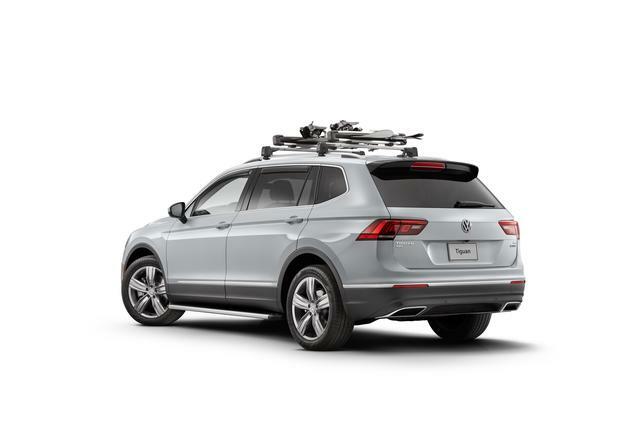 Carrying up to 6 pairs of skis or up to 4 snowboards or a combination of both, the THULE(R) Snow Pack Ski Carrier has what you need to enjoy your ski weekend getway. Fitted with a spring hinge that accommodates all thicknesses of skis and reduces carrier height when unloaded. Soft rubber arms protect skis during transport. Large push button makes it easy to open with gloves. Lock cylinders secure the skis to the carrier.